The beginning of August fast approaches, and that means that summer is ending for students across the country. 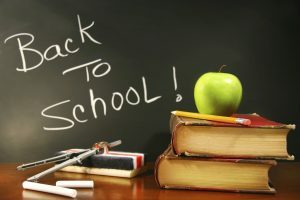 With the start of school comes increased road traffic from school buses and teen drivers, as well as plenty of children on bicycles, and young pedestrians hurrying to get to and from school. Safe driving can save lives. Slowing down and paying extra attention to your surroundings, especially when you’re near a school, can help avoid tragedies. The National Safety Council has published a few recommendations to help make sure that back to school season is safe for everyone.